Dr Dre’s latest protégé on working with one of the biggest names in the history of rap and the release of his latest album, Malibu. 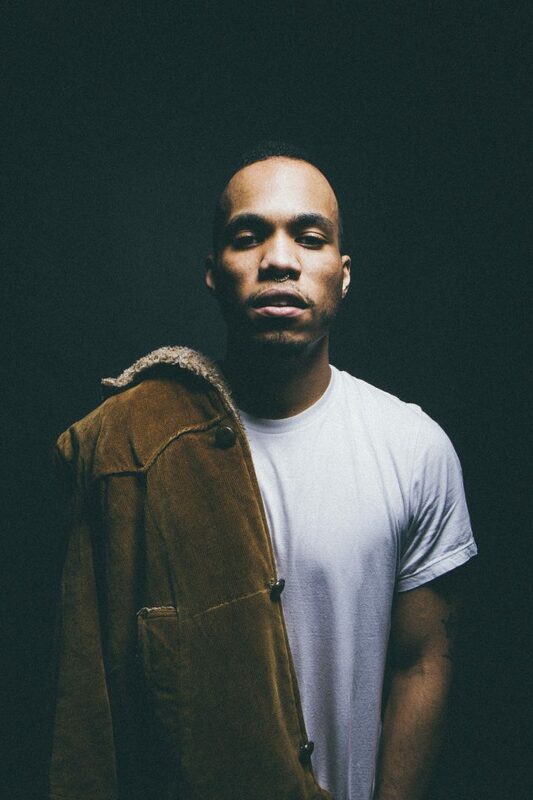 Paaking heat Anderson .Paak has one of the most unique voices in hip hop right now. On the day of his album release, Anderson .Paak stands on stage at London Fields Brewery in Hackney, London. It’s January 15, and the album launch party for Malibu, his second full-length record since switching names from Breezy Lovejoy in 2014. The album follows a burst of creativity from the Oxnard, California native which has seen him pen the follow up to 2014’s Venice as well as feature on the first Dr. Dre album proper in 16 years that landed in 2015, Compton. He also dropped the first release from his NxWorries project with Knxwledge –the EP’s Suede becoming something of an underground anthem – as well as going into the studio with Busdriver. Tonight is an energetic performance that suggests he’s been eager to get the material on Malibu out on the road. Beginning on the mic with his hood up amongst the crowd, it sees him interacting with those in the front row between songs, all before finally dragging them on-stage to dance with him. 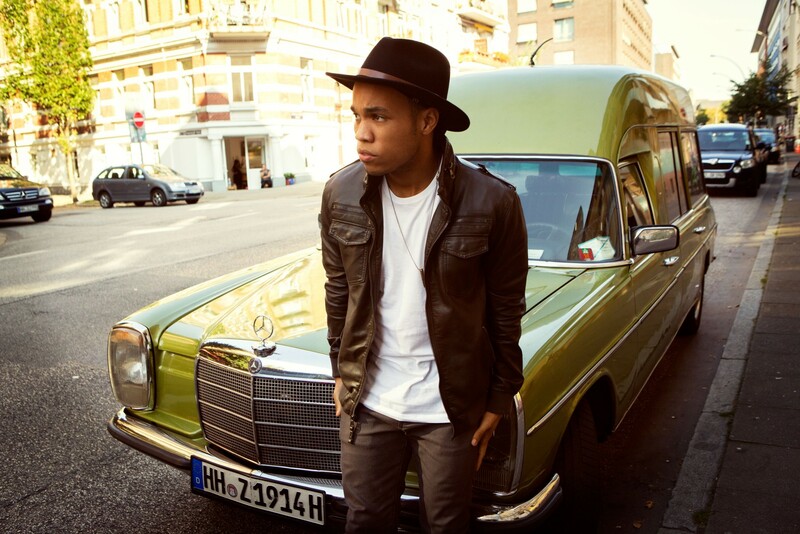 Through the set he splices bigger Venice tracks like Milk N’ Honey and Drugs into those from his new album, and the acclaim Malibu has been given is reflected by the reaction in the venue; Anderson .Paak, real name Brandon Paak Anderson, sporting a devilish grin on his face from start to finish. But it hasn’t always been such a bright time for him. Down on his luck five years ago, he lost his job on a marijuana farm in Santa Barbara. It was a situation that left him struggling for survival with his wife and son. Fast forward three years to 2014 and Anderson released Venice to muted critical acclaim. It was an album that portrayed a chameleon like artist able to shift effortlessly between hip hop, soul, R&B, trap, footwork and myriad of other sonic reference points, and probably deserved more plaudits than it attained. “There are only a few streets in LA where you can go from east to west and stay on the same street,” he explains. “Venice Boulevard is one of them. You start Downtown, take it through Mid City and the hood before heading towards Culver City and then to the beach. As well as his vocal tone – which can shift between a Curtis Mayfield soul croon to the familiar gravelly tone of Kendrick Lamar with an equally effortless abandon to the appropriation of sounds on Venice – he’s also an accomplished drummer and regularly joins his performing band The Free Nationals in extended instrumental skits when playing live. “Some people are caught in the past,” Anderson explains. “They don’t understand that others are ready for an artist that has a real dynamic range. Others aren’t afraid of an artist who can do more than one thing now. 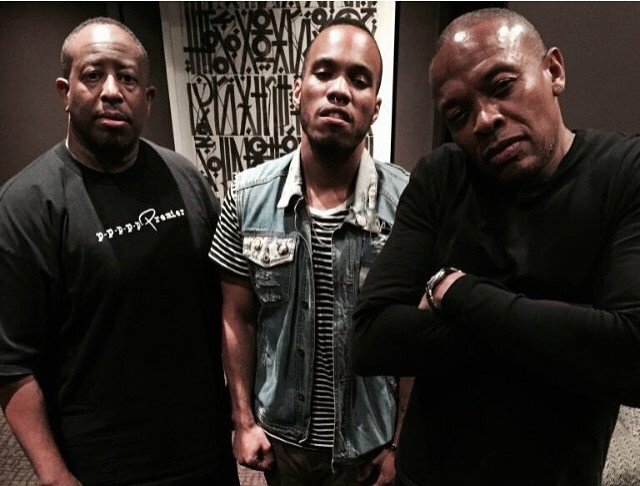 Transformation The last 18 months have seen Anderson .Paak work with Dr Dre, Schoolboy Q and The Game. Anderson says despite combining a slew of sounds in his music, he grew up on a diet of the West Coast hip hop and gangster rap, and this is probably the only omnipresent influence to be weaved through most of his work. Despite Venice not pushing Anderson as far as the album had promised, it did put him onto the radar of one of his childhood heroes, as last year he got a call to ask him to go into the studio with Dr. Dre to work on material for his then forthcoming album Compton. “I didn’t think it was legit,” he laughs. “It seemed so far fetched that I’d be able to work with him. When everything was dropped for Detox I just put it out of my mind that it would ever happen. So it felt amazing when I got to the studio and saw that it really was. “When I got to there the first two people I met after getting through security were Dre and D.O.C. That’s when I realised it was on. Anderson ended up on a total of six tracks on Compton, and they saw him star alongside the likes of Eminem, Ice Cube and Kendrick Lamar. That total also made him the most featured artist on the album, despite the fact that many listening to it had no idea who he was. So what would the child with the Dr. Dre album at home have said if someone had told him he’d wind up as a major feature on one of his future albums? Anderson says it was working with Dr. Dre that gave him the confidence to return with something as daring as Malibu. The trap and footwork tinged material from Venice was the place that he always sounded most comfortable in, so after the phenomenal success of Future recently it would have been easy for Anderson to return with something on that tip. But that couldn’t be further from the reality. Anderson attributes the sonic shift on Malibu – an album which saw him work with Schoolboy Q and The Game – as being a reflection of where he finds himself as an artist after such a transformative year. The four songs that the album is built around are The Bird, Put Me Thru, Parking Lot and Celebrate, and are some of the most revelatory tracks on a hugely reflective album. It’s one that sees him tackle issues like growing up at high school with both his parents incarcerated and the later death of his father, but somehow manages to sound entirely celebratory. “I didn’t realise how reflective it was until I started hearing people talk about it,” he explains. “But I’m glad I’m now able to make an album that recalls some of those memories. “It’s like we travelled the grimy streets of Venice on the last album and now we’re getting far out into the ocean and trying to catch some waves. It felt like making a soul album was a bit of a risk so it’s awesome it’s getting the response it has. A stamp of Kendrick Lamar’s To Pimp A Butterfly can be heard on many points of Malibu, and that was an album that Barrack Obama ended up name-checking as one of his favourite of 2015 at the end of the year. So can Anderson see Obama talking about Malibu come the close of 2016? Jokes aside, and despite the fact that Anderson is already back in the studio with Dr. Dre, as well as having plans to return to Europe during festival season, he says he doesn’t like to think too much about what’s going to happen in the future. “It feels like the sky’s the limit right now.” he explains. “But I try not to stress too much about what’s going to happen next as there’s still so much to accomplish in the present.